Just before Christmas, and to finish this year, we are publishing for the 4th year the EasyExpat Best-off list for the funniest or most bizarre emails we have received in 2013. 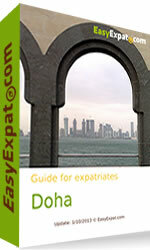 We are proud to launch our new city guide for expatriates in Doha, Qatar. The demography of Qatar and Doha is unusual in that the majority of its residents are expatriates. Qatari nationals are a minority in Qatar; there are 33 migrants for every 1000 residents in the country. Ethnic groups in the country include Arab (40%), Indian (18%), Pakistani (18%), and Iranian (10%). Qatar shares the top spot with Libya for the country with the highest ratio of migrants to nationals. 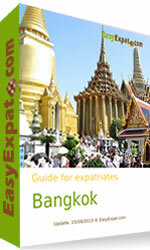 We are proud to launch our new city guide for expatriates in Bangkok, Thailand. September means back to school for many people and we thought it was the perfect time to highlight the many resources of EasyExpat. Moving abroad requires a whole new education and our country specific guides will give you the information you need to graduate to Life Abroad with honors. We have over 50 comprehensive city guides that cover everything from finding work, to the visa process, to the best places to meet-up in town. 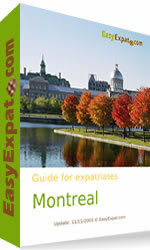 In addition, we provide Expat FAQ, classifieds, job listings, expat blogs, expat interviews, expat author interviews, blog awards and forums for users to share experiences, provide information and ask questions. And another one! 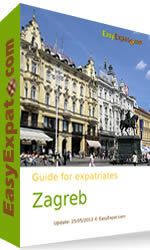 After Malta and Kuwait, we are now publishing our new city guide for expatriates in Zagreb (Croatia). Nothing better to finish an exceptional month in May for our expat guides. A small country that's remarkably easy on the eyes, Croatia attracts millions of visitors annually to its stunning Adriatic coast. Still, it's not yet a household name - but even if you think you haven't heard of it, chances are, you have. Among other claims to fame, Croatia gave the world the necktie (or cravat), the fountain pen, and the first functioning parachute, and scientific genius Nikola Tesla. Another new guide today (yes, we're working hard to produce many more): we are delighted to announce our new city guide for expatriates in Kuwait. 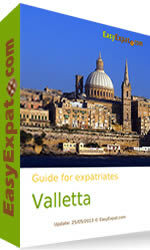 We are proud to launch our new city guide for expatriates in Malta. Malta is a small island nation located in the middle of the Mediterranean, 80 km/50 mi south of Sicily and 333 km/207 mi north of Libya. Comprised principally of the islands of Malta, Gozo, and Comino, the country covers just 316 km2 or 122 sq. mi. With a population of just over 400,000, this makes Malta one of the smallest and most densely populated countries in the world. Valletta and its surroundings in the eastern region of Malta form the most densely populated area of Malta, and include the villages of Valletta, Sliema and St. Julian's. Although called Valletta, the capital city, our guide is also largely focused on those other villages praised by a very high concentration of expats who reside in these seaside villages.